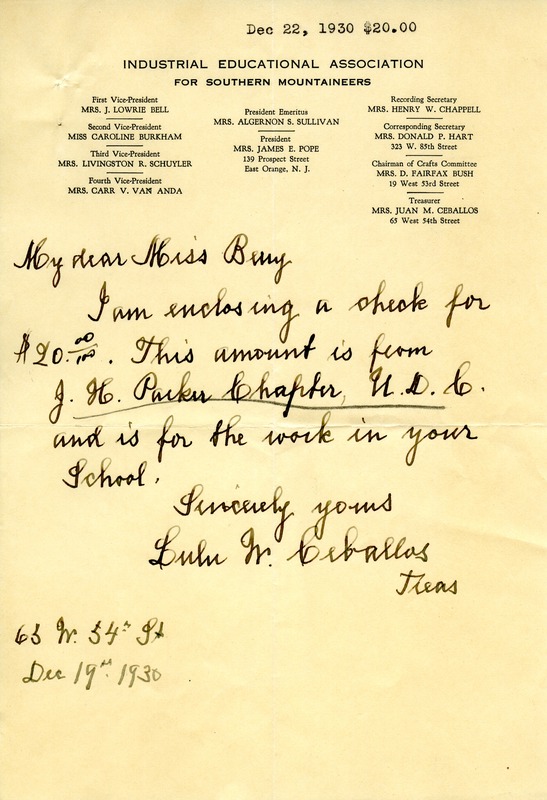 In this letter Mrs. Ceballos the Treasure for the Industrial Educational Association for Southern Mountaineers sends the Berry Schools twenty dollars. Mrs. Juan M. Ceballos, “Letter to Martha Berry from Mrs. Juan Ceballos.” Martha Berry Digital Archive. Eds. Schlitz, Stephanie A., Jordan Brannen, et al. Mount Berry: Berry College, 2013. accessed April 21, 2019, https://mbda.berry.edu/items/show/12958.